The kitchen acts as a central hub in any home. From cooking meals to gathering to chat about a long day, the kitchen should be a warm and inviting place. If your client is interested in a kitchen remodel, stop by ProSource® of Philadelphia. We are equipped to help you make your client’s design dreams a reality. Feel free to browse our selection of products alone or bring your client along to choose out the perfect components for their home. With the top brands at wholesale pricing, we have something for every budget and style. Looking to create more storage space in the kitchen? 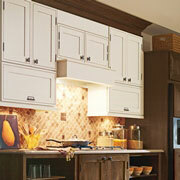 Find the perfect kitchen cabinets for improved organization, freeing up more counter space. Browse an array of materials and styles. 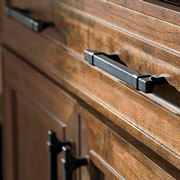 Tie everything together with the right cabinet hardware. From decorative knobs to simple silver handles, we have the cabinet hardware you need to complete your kitchen remodel. From dark and stunning to light and simple, we can help select the perfect countertop for your kitchen remodel. 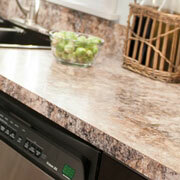 Choose from quality materials, such as quartz, granite, marble, and more. Need a large sink with multiple basins? Looking for something simple and elegant? 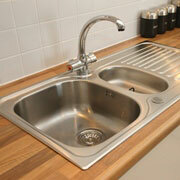 We provide trade pros with the kitchen sinks they need to make their remodel complete. Browse top brands at wholesale prices and pick the right sink for your client’s needs. 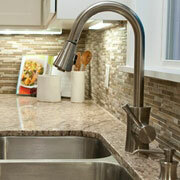 Improve usability with the right kitchen faucet. From fun add-ons, such as beverage faucets, to classic pull-out faucets, we can help pair the right faucet for your kitchen design.